It’s that time of year! Everyone is headed back to school this week. With that in mind we thought we would offer a quick history lesson. If you have visited our lot, you have probably seen our collection of classic cars (and if you haven’t visited we invite you to stop on by! ), and may had a few questions. 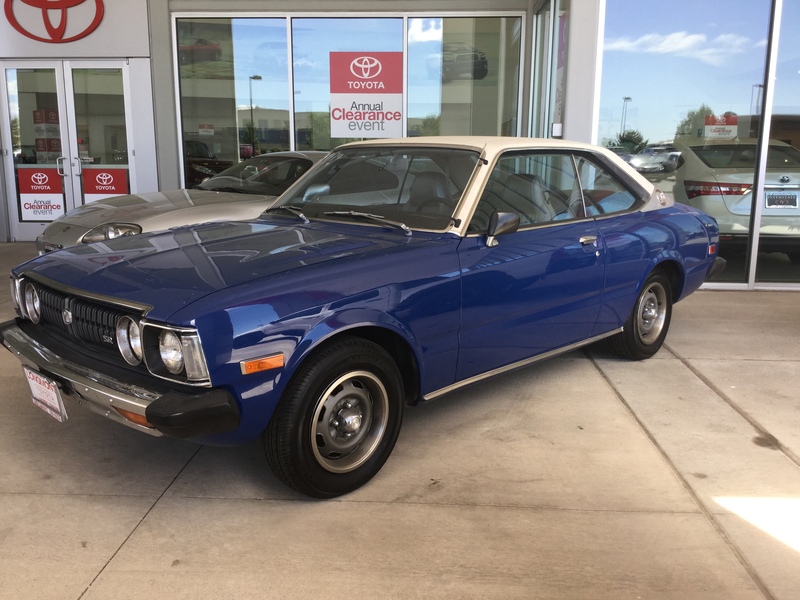 Below is a brief history of the cars and how they came to live at Stapp Interstate Toyota Scion. This is the oldest car in our collection. It was produced in the same year we opened our doors, 1974. 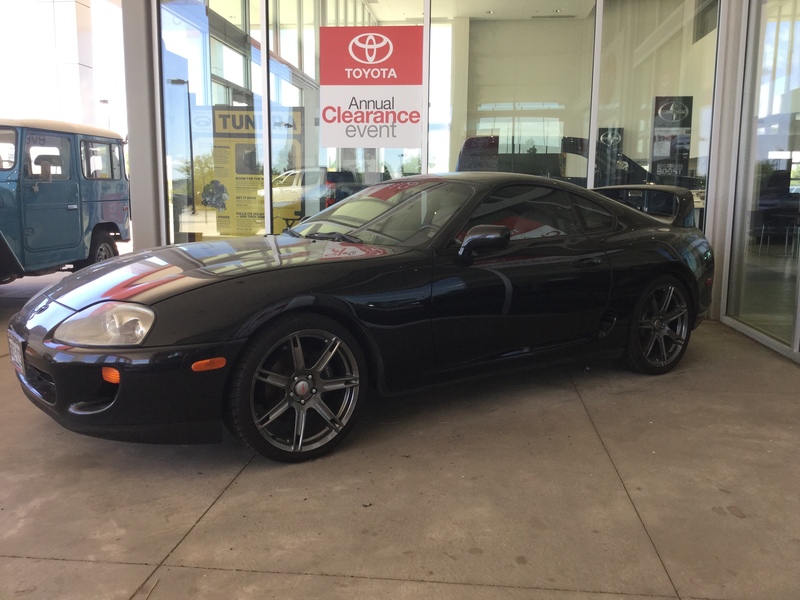 A customer called us wanting to know if we would be interested in purchasing the vehicle. While we did not sell this particular car new, we did have these vehicles on our lot. When we received the vehicle it was in need of a paint job. We took care of that and have kept everything else original. Did you know that before model year 1980 there was no set standard for VIN’s? Manufacturers were able to use any combination of letters and numbers and use as many as they wanted. For example this Land Cruiser’s VIN starts with FJ40, as did all vehicles on this platform. If the “FJ” sounds familiar it does. This was the precursor to the now discontinued FJ Cruiser. 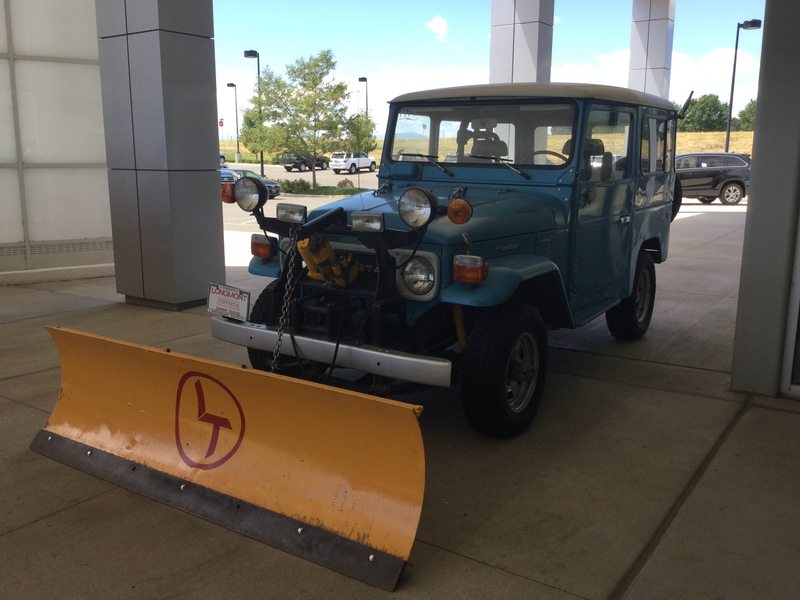 This Land Cruiser is set up as a snow plow, with our original Longmont Toyota logo painted on the plow. 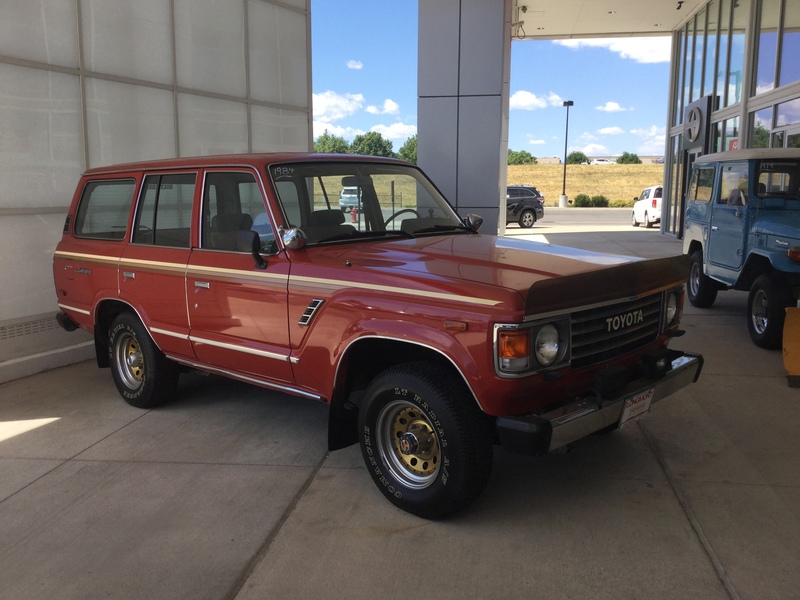 While this Land Cruiser still runs, its set up for show only. If you have been in our dealership, you have seen, and maybe visited Amy’s cafe. Bob and Amy Stapp were the original owners of our dealership. The Land Cruiser out front was their personal vehicle. That box in the back? Full of chains and a jack. Amy always made sure she was prepared. The greatest compliment we can receive is when a customer comes back to purchase another vehicle from us. 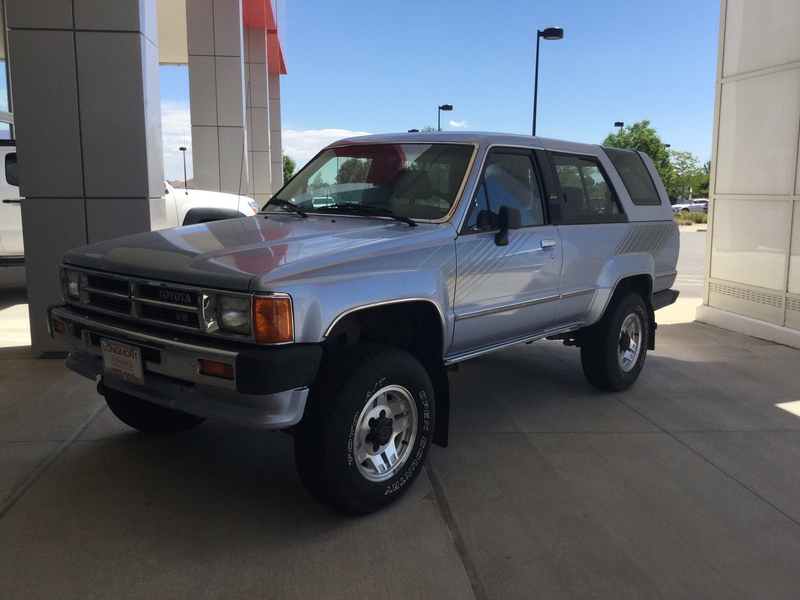 We sold this 4Runner new, and the owners traded it back in to us. 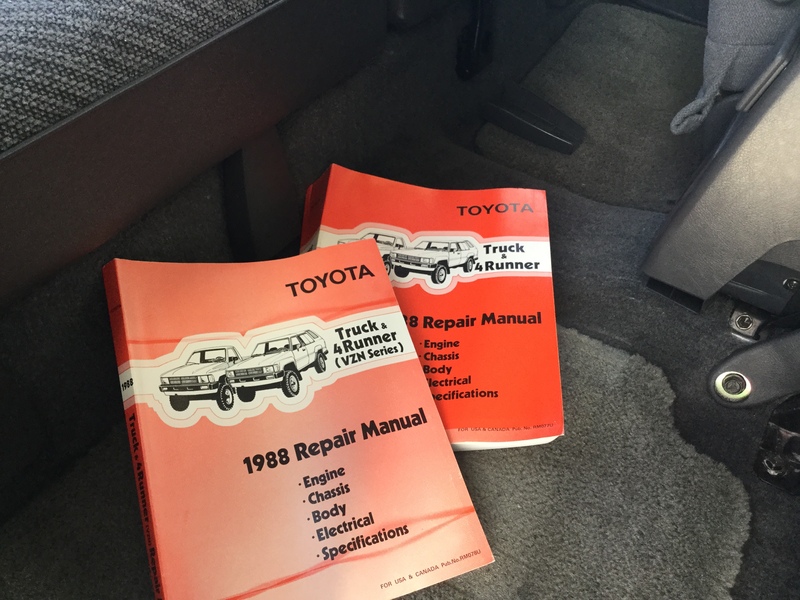 Even the original owner’s manuals came back! 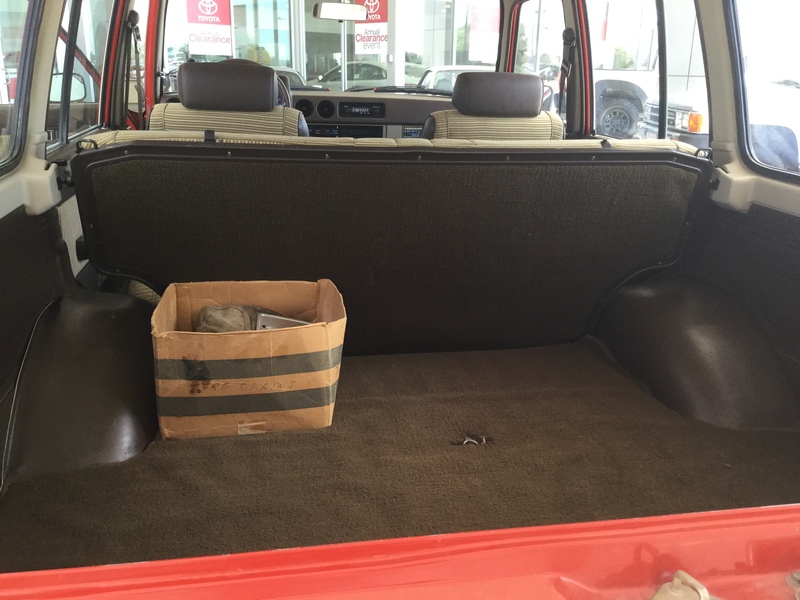 Did you know that the back seat is not original to the 4Runner? In the 1980’s foreign auto makers were limited on how many passenger cars they were able to import. So a 4Runner was imported as a truck and retrofitted with the back seat. Ok, these last two don’t technically fall into the “classic” category just yet, because they are still a little too “new”. We were contacted by the owners asking if we would be interested in purchasing these Supras. Both were bought with the intention of having a little fun with them . And who wouldn’t have fun with these Supras? 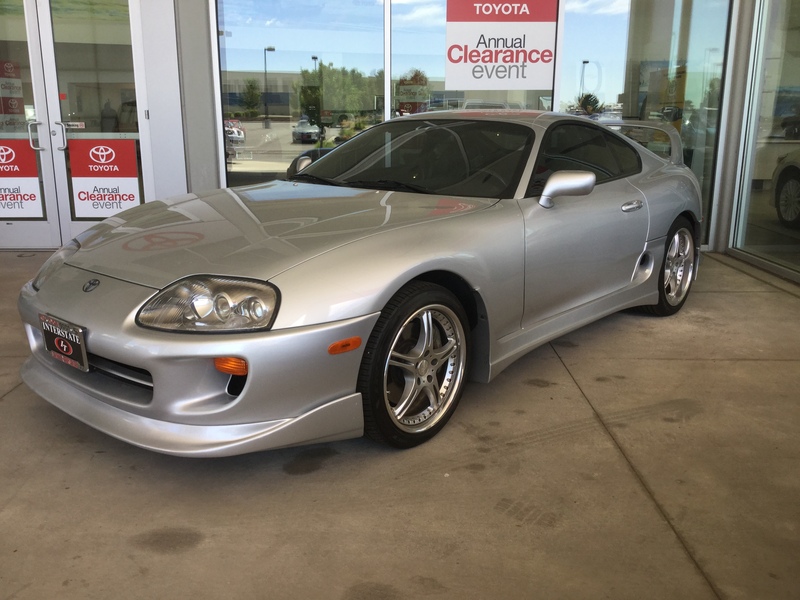 This Supra has a twin turbo engine in it. We also added a racing kit and body panels to this Supra. The “youngest” of our classic cars and the last one. And there you have it, a quick history lesson before school starts!